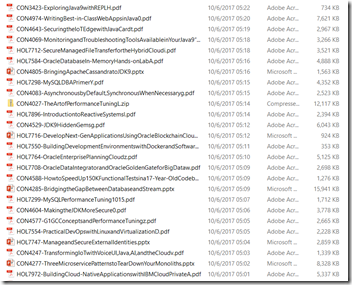 and to download the file to my local file system. 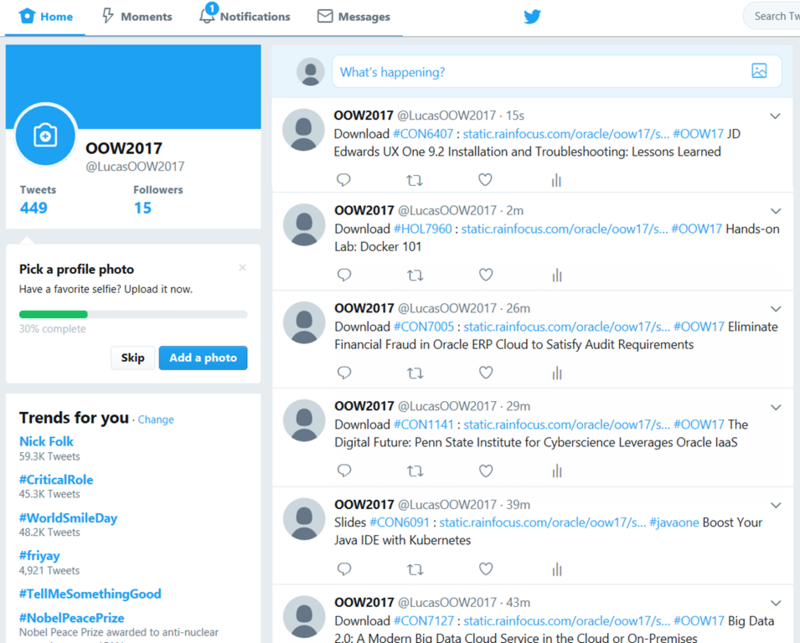 I added provisions to space out the tweets and the download activity over time – as to not burden the backend of the web site and to not be kicked off Twitter for being a robot. 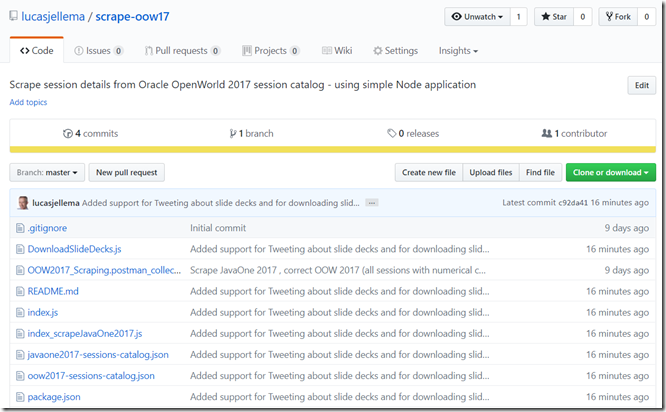 The code I crafted is not particularly ingenuous – it was created rather hastily in order to share with the OOW17 and JavaOne communities the links for downloading slide decks from presentations at both conferences. 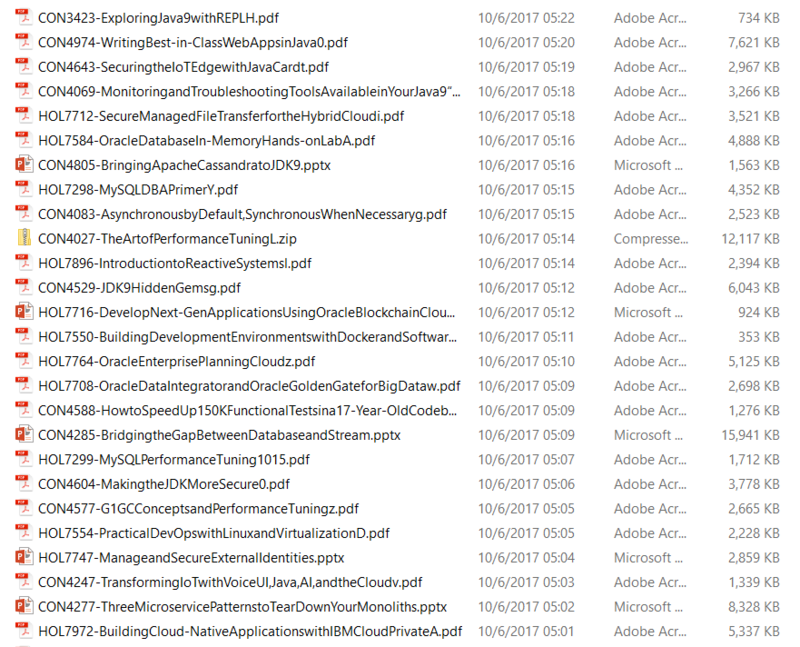 I used npm modules twit and download. 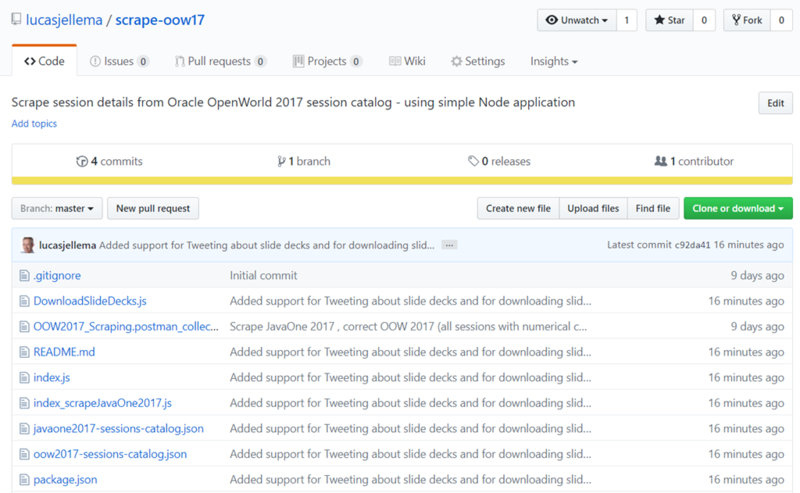 This code can be found on GitHub: https://github.com/lucasjellema/scrape-oow17. 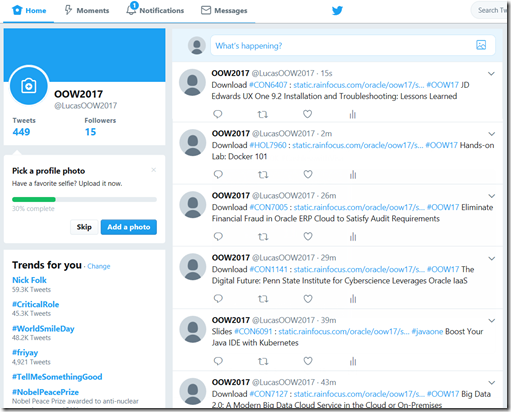 The documents javaone2017-sessions-catalog.json and oow2017-sessions-catalog.json contain details on all sessions – including the URLs for downloading slides. I have added a dummy twitterconfig module. You need to provide your own Twitter app details in that module.